When we last left the story of the Ranger Talion in Shadow of Mordor, he’d started his day being murdered by the forces of Sauron and then things just kept getting worse. Given a strange sort of half-life by being fused with the spirit of Celebrimbor, the legendary elven smith who had forged the Rings of Power with Sauron, we followed their journeys together as they began their guerilla war against Sauron, using the power to control orcs’ minds to turn the Dark Lord’s forces against him. All this Grand Theft Mordor shenanigans was fun enough, but whilst the original Shadow of Mordor was like the Saint’s Row of Middle-Earth, Shadow of War is its Saint’s Row 2: it takes the gameplay of the original and injects it with a hefty dose of absolutely bizarre nonsense that makes a farcical cartoon of the whole thing. 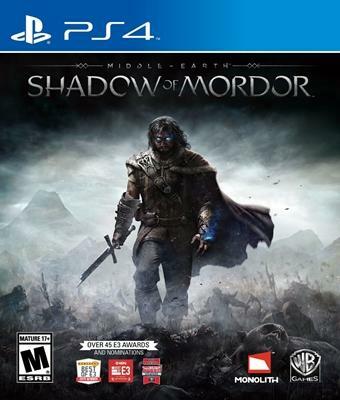 Middle Earth: Shadow of Mordor is a game that shouldn’t work. 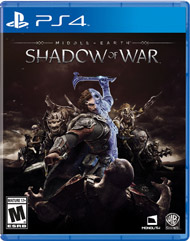 First off, it’s yet another release based off the Peter Jackson movies – an IP with a patchy track record at best as far as videogame adaptations go – but at the same time it bears a generic Middle Earth title, as though it hasn’t quite proved worthy of displaying the more valuable trademarks of Lord of the Rings or The Hobbit. Secondly, the plot is utterly ludicrous – a badass ranger of Gondor is wronged by the forces of Mordor, so he simply walks into Mordor and starts hacking up orcs like it’s some sort of misorcist equivalent of Hatred. Being as I am a man whose disposable income occasionally allows me to drop money on being among the first to get in on a bad joke, I actually bought Shadows based on the plot. I figured that if the game were as desperately silly and tonally inappropriate as it looked, I’d have something amusing to report back to you all, and if it turned out to be an unexpected delight then all the better. Somehow, it ended up being both. You could forgive people for thinking that Christopher Tolkien has been scraping the bottom of the barrel when it comes to publishing posthumous work by his father. The Silmarillion, as ridiculously dense as it is, was a project which J.R.R. himself was intending to publish at some point, and provides so much vital context to all the strange allusions made in The Hobbit and The Lord of the Rings to matters occurring in the First and Second Ages of Middle Earth that it’d have been a disservice both to Tolkien’s intentions and to reader’s hopes of understanding half of what Tolkien wrote to leave it unpublished. 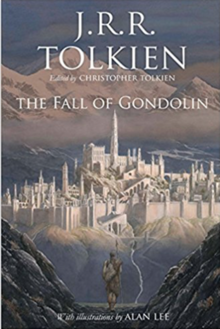 But Unfinished Tales and the twelve-volume The History of Middle-Earth series were never planned by Tolkien to be published in the form that they were, and contain so much that contradicts the core Middle-Earth texts that it’s difficult to say that they were quite so worthwhile. The History of Middle-Earth, in particular, is likely to be of more interest to people who want to be able to study absolutely everything Tolkien wrote about Middle-Earth for academic purposes than people who actually just want to read the stories as Tolkien intended them to be read. 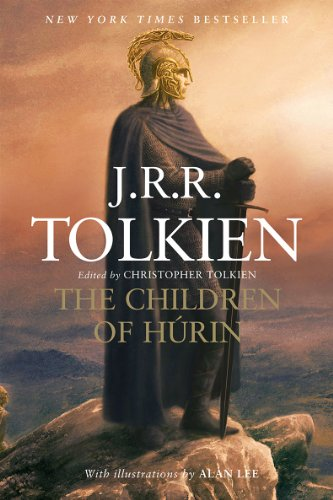 In fact, Christopher Tolkien reveals in his introduction to The Children of Húrin that whilst the elder Tolkien populated the timeline of his secondary creation with a vast number of incidents, he didn’t believe all of those incidents were worthy of being worked up into fully-developed stories for publication. 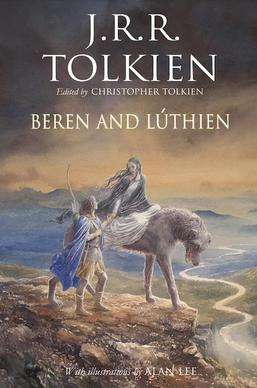 Of all the sagas of the First Age, which The Silmarillion covers in summary, Tolkien believed that there were three Great Tales which merited expansion into full narratives; these were the story of Beren and Lúthien, the Fall of Gondolin – and The Children of Húrin, which Christopher Tolkien has attempted to reconstruct from his father’s manuscripts with only a minimum of editorial intervention in the form of brief connecting passages to link together the portions of the text into a whole.